While one employee is pleased that the office is cool, another wraps her scarf more tightly around her neck. Someone gets a headache from bright light, while another person needs more light. An indoor climate that is pleasant for everyone is made up of many factors. To ensure employee wellbeing at the workplace the indoor climate needs to be in order. Though indoor air is the matter that is usually discussed, a pleasant work environment is the sum of many factors. Indoor Climate at Senate Properties. She is the leader of Senate Properties’ indoor climate team, which has 17 members. The team’s experts develop instructions, models and policies, in other words, Senate’s standard treatment guidelines for a proactive approach to indoor air problems and solving them. The proactive approach includes indoor air inspections at buildings. The recommended temperature in an office is below 23 degrees. Temperature is the most common cause of dissatisfaction regarding indoor climate, because while one likes to feel warm, another likes to feel cool. The difference between people’s preferences can be up to 5 degrees. Whether a person feels hot or cold depends on how much they move around during the day and physique – the more muscle mass you have, the more heat your body generates. In the future, there may be different temperatures in different space zones in activity-based environments – in this way each employee would be able to choose their work space based on temperature preference in addition to work tasks. Even if the office may otherwise be warm enough, a draught caused by air conditioning or large windows can make you feel cold. Jets from air vents need to be directed away from people’s backs, necks and faces. If the feeling of a draught comes from cold surfaces this can be solved by changing the location of a workstation or repairing old structures, for example. The warmer the indoor air is, the stuffier it can feel. Insufficient ventilation is also perceived as stuffiness. On the other hand, someone may feel there is a draught and that the room is stuffy at the same time, which makes finding solutions for indoor air problems very tricky. The feeling of stuffiness is caused by higher than normal carbon dioxide, contaminant smells and dust in the indoor air. Indoor air is also adversely affected by scents, which come from cosmetics and detergents used by people. Emissions are also dispersed into the air from building materials and furniture. This happens more in warm spaces than cool spaces. Particles come off people and their clothes and also photocopiers, for instance. Digitalisation is transferring the storage of files from paper and folders to the cloud. However, if paper documents are needed, they should be stored in closed cupboards. 3D printers should also be placed in a location, where the particle emissions can be safely channelled outside. Regular cleaning keeps dust under control. On hard floors, with each step you take, dust can be dislodged into the air and then breathed in. These days a lot of carpets are used that absorb the dust, which is then efficiently removed with a vacuum cleaner. However, research data on the effect of carpet on indoor air is contradictory: some studies showed there was less dust in the air and on furniture surfaces while other studies showed this was not the case. Therefore, we need more research data on this. People experience noise very differently: the level of concentration required for the work, mood, tiredness, sensitivity to noise, reduced hearing and stress all have an impact on how much you are affected by noise. Some people are affected by very little noise while other people can concentrate when other people are talking loudly right next to them. The easier it is to distinguish what other people are saying, the more distracting it is. Various types of acoustic material, mats and wall panels reduce the impact of noise and improve acoustics. An activity-based environment prevents noise impacts by providing separate rooms for quiet work where people can go when they need to concentrate on tasks and breakout rooms where people can take phone calls. There are also dedicated rooms for meetings and group work. The lighting in an office needs to be constant and sufficiently bright. There must be no glare from lights that shines directly into the eyes and prevents vision or reflections of lights from screens or keyboards. These problems are solved with indirect lighting that can be complemented with individual spot lights, such as desk lamps. The need for lighting depends on the individual and it increases with age: On average, a 60-year-old needs lighting that is ten times brighter in order to be able to see as well as a 20-year-old working in the same space. Well planned and implemented lighting improves comfort and efficiency. Improvements in lighting have been shown to improve productivity by almost 10 percent in tasks that require accurate vision and to halve the number of mistakes. In Finland, radon levels in indoor air, especially in underground facilities, are higher than in many other countries due to our granite bedrock and soil, our construction engineering and climate. The worst areas for radon are raised, steep-sloped moraines, such as Pispalanharju in Tampere and certain areas of the Salpausselkä ridge. Senate also has operating instructions on determining radon levels at workplaces. People are also exposed at work and in their free time to radio frequency radiation caused by mobile phones, wireless routers and microwave ovens, for example. However, the health effects of long-term exposure are disputed. 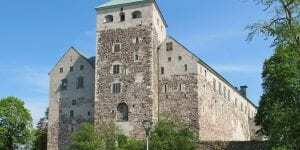 In Finland people largely associate the indoor air problems experienced in public and private buildings with mould damage. However, as outlined above, indoor climate and indoor air represent a far more diverse matter than just the problems caused by mould. Problems caused by mould are due to moisture damage caused by mistakes during the construction phase and from neglect regarding repairs and maintenance of properties. Interview sources: Anne Korpi, Specialist, Indoor Climate at Senate Properties and for the information on lighting Matti Leikas, expert from the National Institute for Health and Welfare. Senate Properties develops and shares its indoor climate knowhow, monitors the activities of research institutes, authorities and indoor air associations and exchanges experiences with other property owners. Senate’s proactive indoor climate programme takes indoor climate aspects into consideration during the design, construction and use of the premises. The programme covers Senate’s own premises and some government premises leased from other property owners. With indoor air solutions the most important factors are prevention and anticipation. The focus is shifting from improving buildings with poor-quality indoor air towards taking care of the health and healthiness of buildings. According to Senate’s guidelines, the emission classification of materials must be at least M1, which means emissions must not exceed approved limits. In addition to building materials, kitchen cupboards, doors and worktops, furniture without padding or textile coverings and upholstered chairs can also receive the low emission classification maintained by Building Information Foundation. Senate will acquire and supply odour-free furniture to the work premises if the customer wishes. Modern digital technology, detectors and sensors are used to measure temperature, relative moisture and differences in pressure. The resulting data can be processed quickly, and we can react to the situation in a timely manner. We ask users for feedback on the premises and analyse this data. Property maintenance and cleaning professionals are always there to assist us and inform us of problems observed. We have already carried out about 100 indoor air inspections since they were launched in 2017. Over the next 3 years we aim to inspect all of Senate’s major properties. The aim is to correct any faults before problems occur. In accordance with Senate’s operating model, property maintenance staff listen to all indoor climate complaints and react to the situation. Our guidelines explain what maintenance staff need to inspect and what measures to take when they receive a notification about an unpleasant smell, for example. If the property maintenance staff at the property are unable to solve the odour or indoor climate problem, we then establish an indoor air team in accordance with the recommendations of the National Institute for Health and Welfare. The members of the team include the property’s manager, the occupational health doctor and employer, and personnel and occupational health representatives. Structural health specialists are also on hand if necessary. This team informs the premises users on the progress of the indoor air investigations and how any repairs will be undertaken.